DJ Ken Cosco starting to engage a wedding crowd at DoubleTree Hotel in Leominster, MA. Q: Please state you name, location and profession? A: My name is Ken Cosco and I’m from Marlborough, MA. 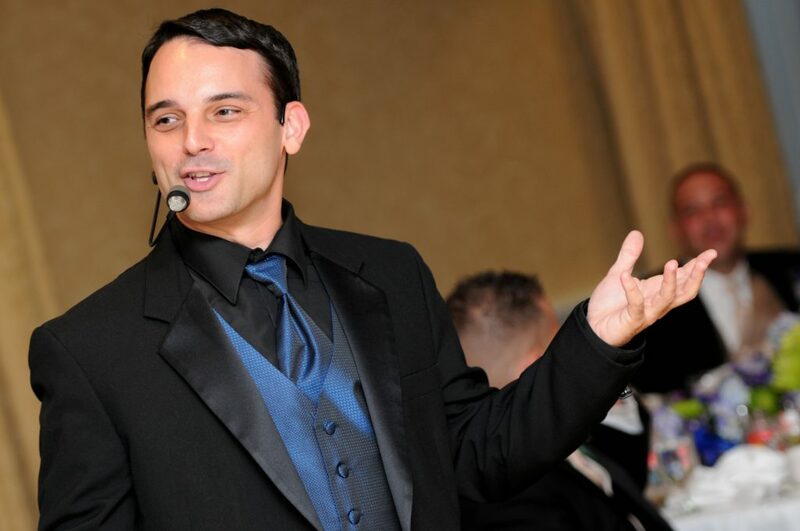 I am a mobile entertainer and I own A Touch of Class and ATOC Weddings. Q: How did you get started in the DJ business? A: On Sept. 6, 1989, when I was 14 years old, a local 6th grade magnet school was in need of a DJ. My mass media teacher spoke with me and his son, who was the youngest on-air radio program host in the country, about this opportunity. We enlisted two of our friends and together went to this 6th grade dance to DJ. We realized we had everything that we needed except a mixer and a mic that we borrowed from the school. That was the beginning and from there we started going after school dances and private events, and locked up most of the dances in Indian River County, FL within one year. Q: Your company also provides entertainment services. What does that include? A: We are a complete entertainment concierge. 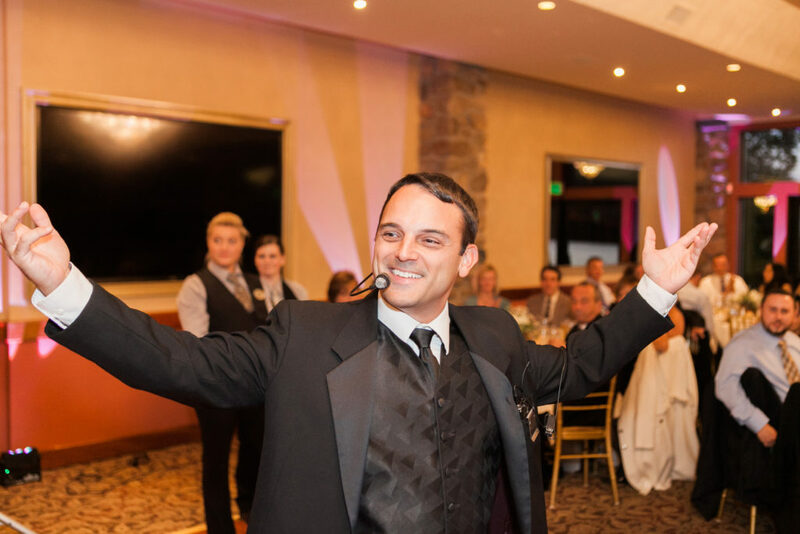 We offer DJ entertainment, lighting, photo booths, personalized monograms, fantasy casino nights, inflatables, sports activities, fun foods like popcorn, flying cotton candy, photography and videography. We even have a 360 photo sharing program that we offer called OurParty.Pics. 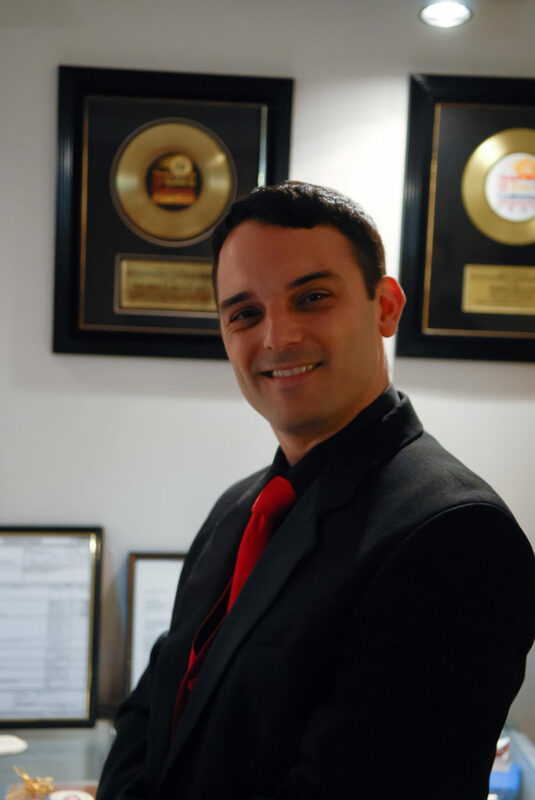 Welcome to DJ Ken Cosco’s showroom where he poses in front of some of the Mobile Beat All Star DJ Awards (which he hosted for 12 times over 6 years). Q: How did you hear about NAME Entertainers? A: I have been around the industry for many years. I heard about NAME at one of the Mobile Beat DJ conferences about 15 years ago. Q: Are you excited to be part of our team of connectors since you won a membership at the Photo Booth Expo in Las Vegas, Nevada? Q: What has been the highlight of your DJ career so far? A: I was the very first instructor for the first Mobile Beat Las Vegas Conference in January 1996. Also, I have opened for many national acts including Chubby Checker, Debbie Gibson, C&C Music Factory, Tone Loc, and many, many more. We even performed for three crowds of over 20,000 guests. 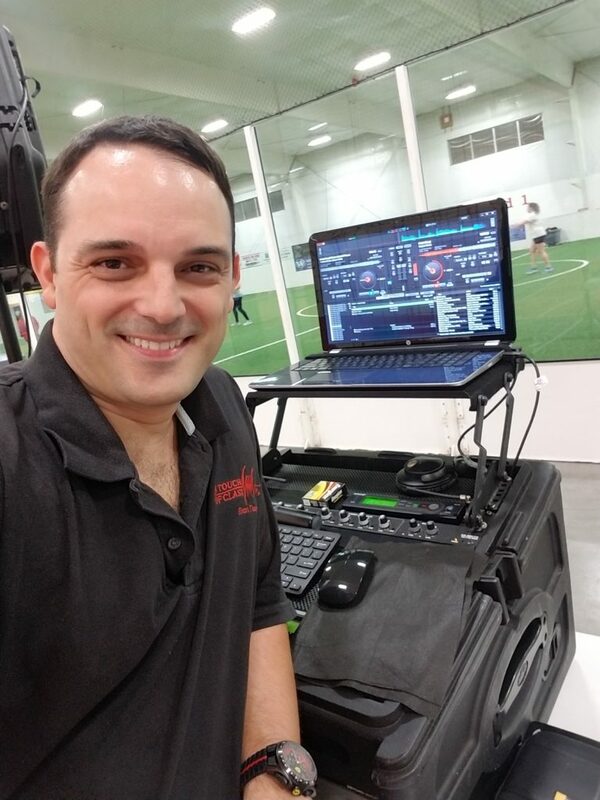 DJ Ken Cosco takes a selfie at a Post Graduation Party for Holliston High School at ForeKicks in Norfolk, MA. Q: What do you see happening in the future for DJs? A: I think the trend will go back toward client services and event productions. Music is everywhere. The cream will rise to the top and clients will start caring about MC ability and problem solving ability. Q: What kind of advice would you give a beginner DJ or entertainer? A: Set high expectation and always exceed those expectations. Client services matter! Q: Please add some wise words of wisdom. A: I have been an entertainer for almost 30 years. Things change, but one thing always remain… if you aren’t the lead dog on the sled, the view never changes!